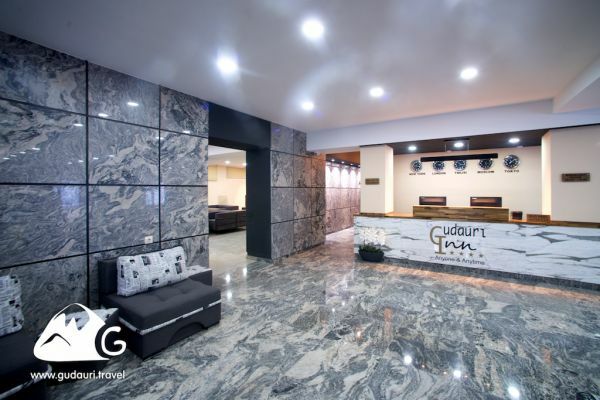 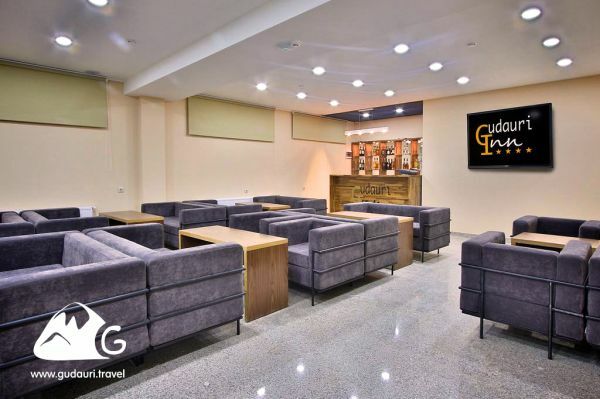 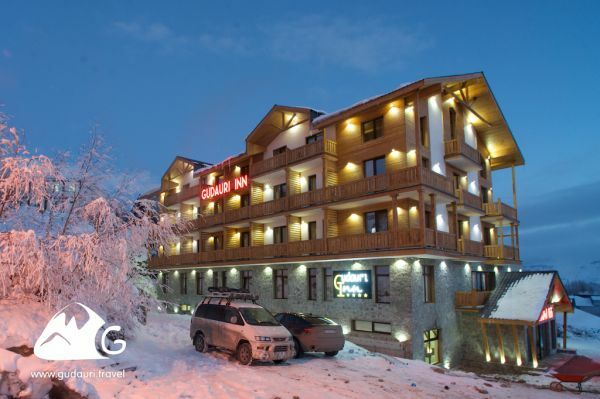 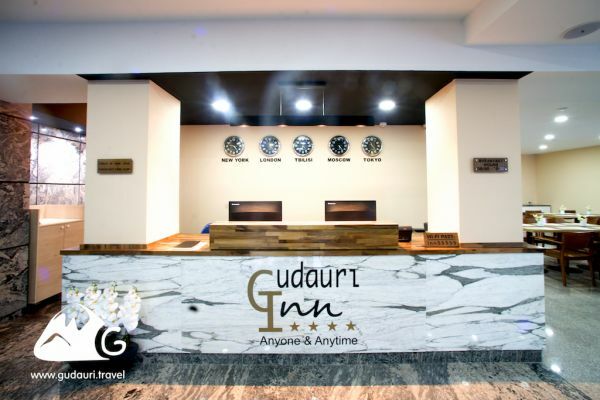 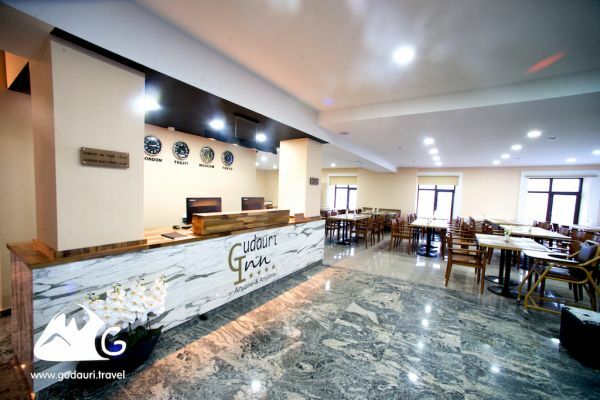 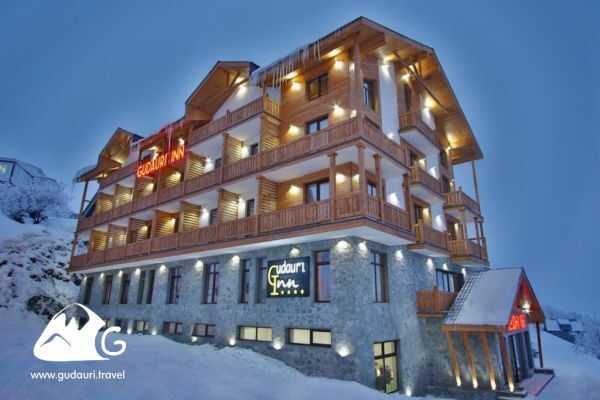 Gudauri Inn - a new hotel of the highest standard of hospitality, has just opened its doors for guests in 2017. 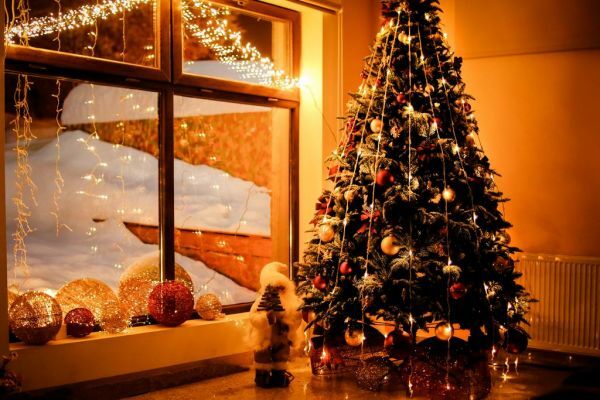 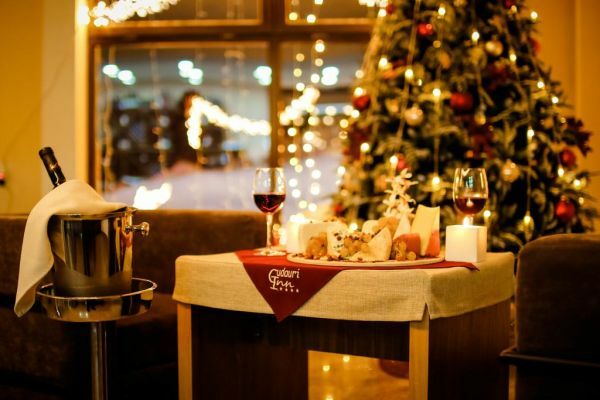 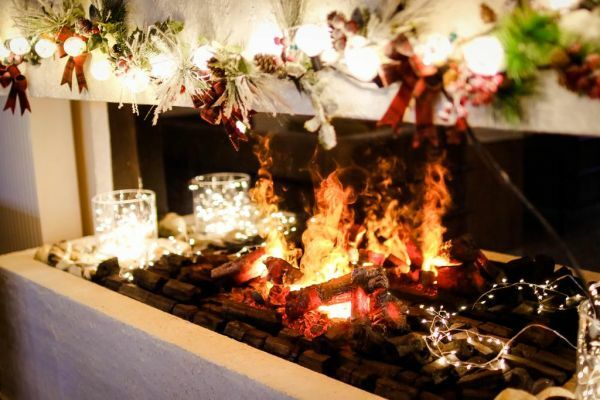 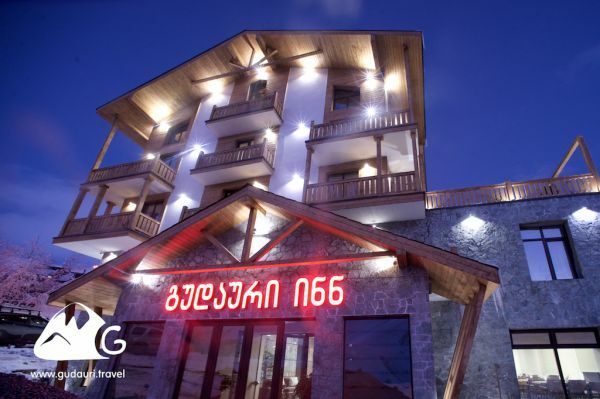 The Inn provides a variety of authentic, delicious Georgian cuisines, a full-service restaurant and bar, and a complimentary shuttle to the ski lifts. 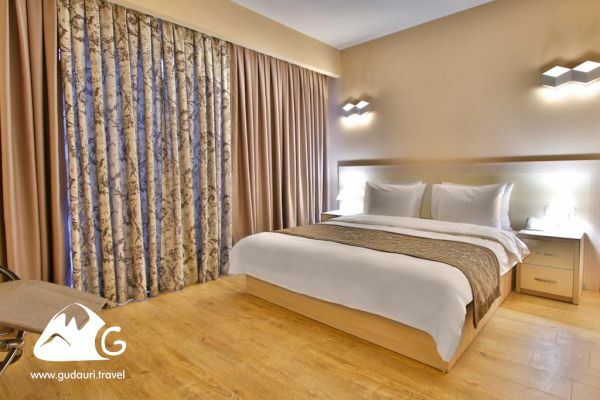 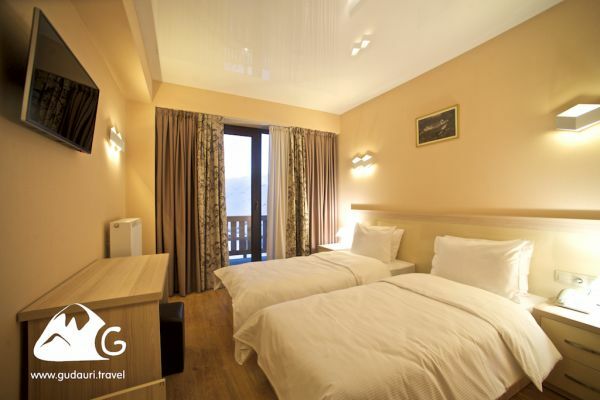 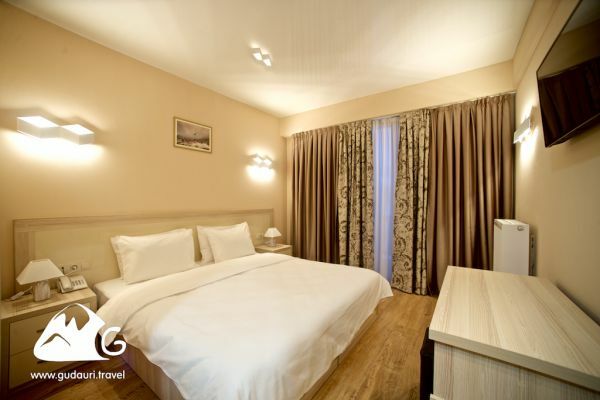 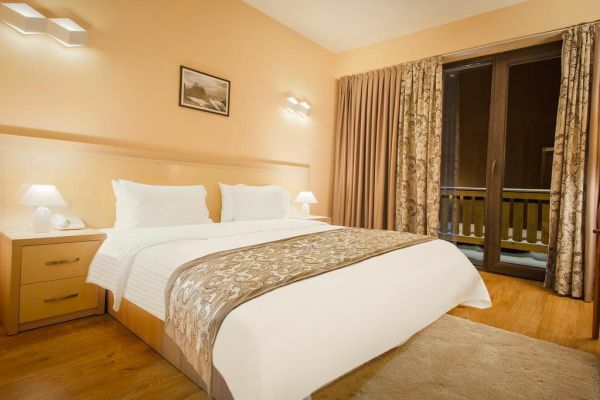 You can enjoy the best views of Aragvi Canyon from the Inn’s panoramic windows and balconies, available in all rooms. 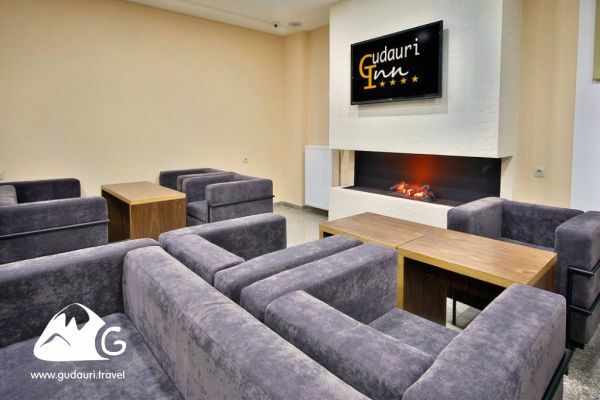 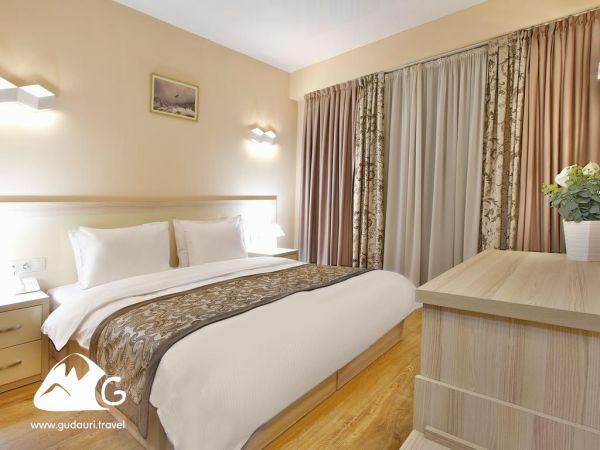 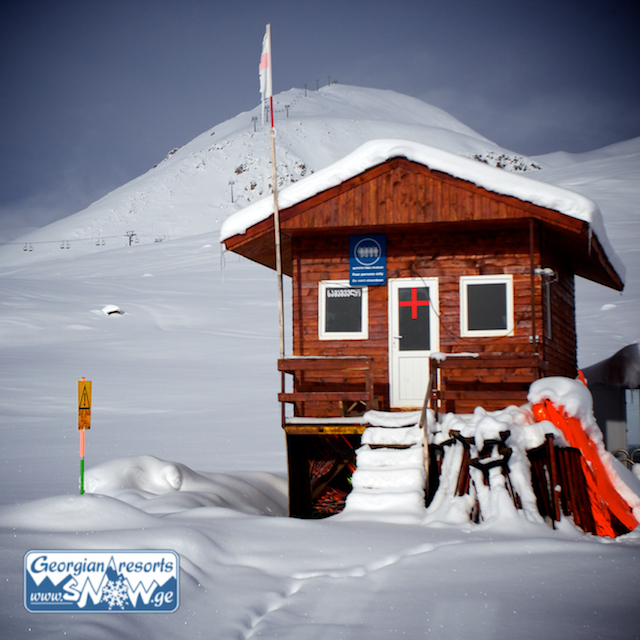 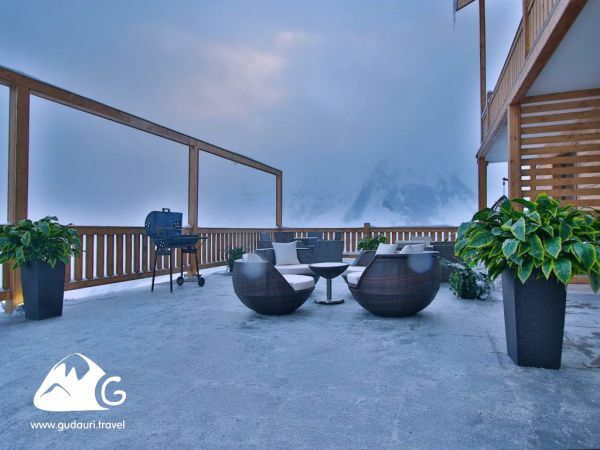 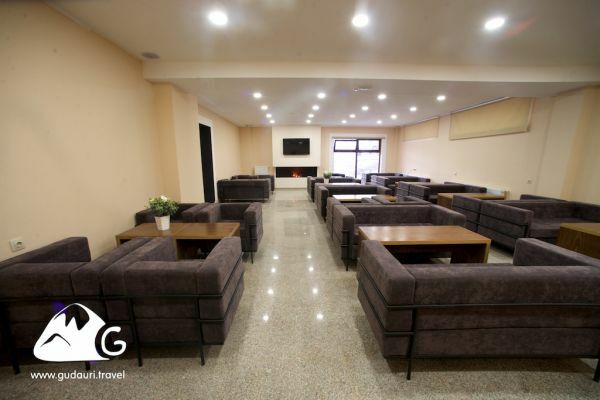 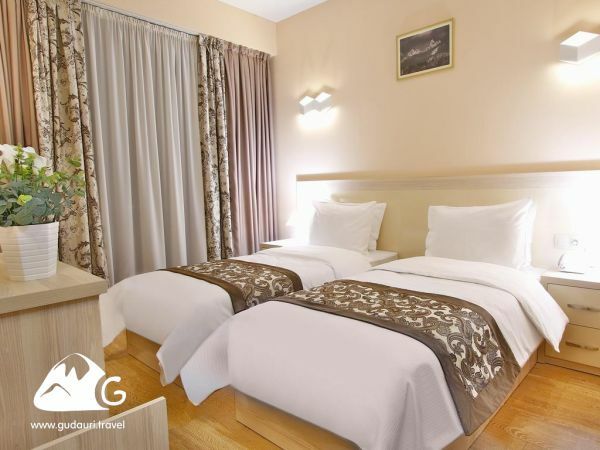 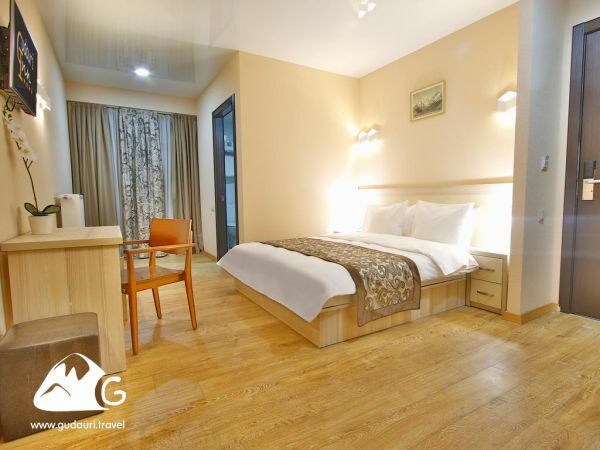 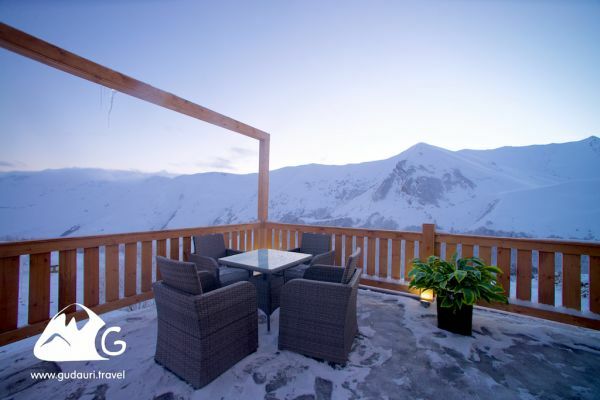 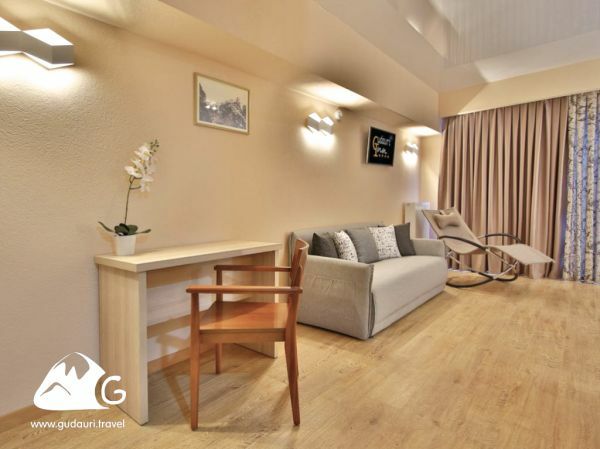 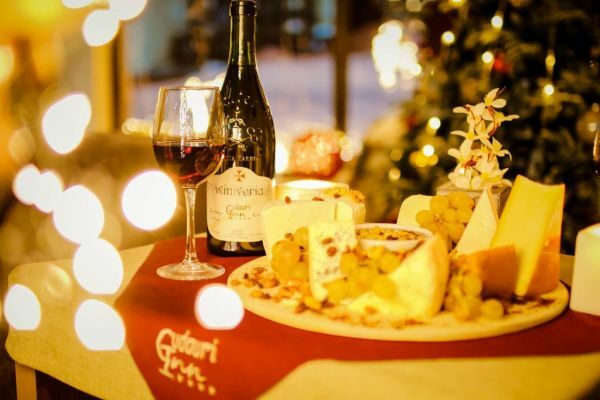 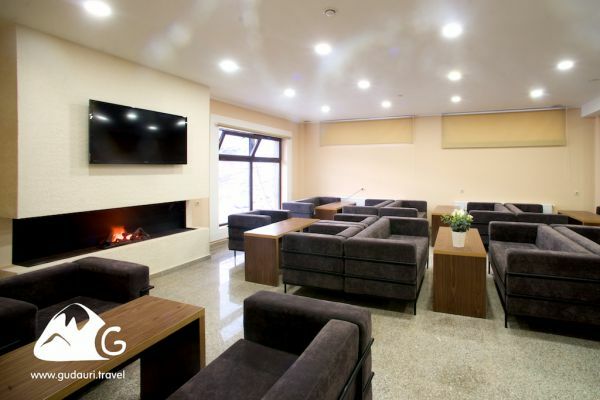 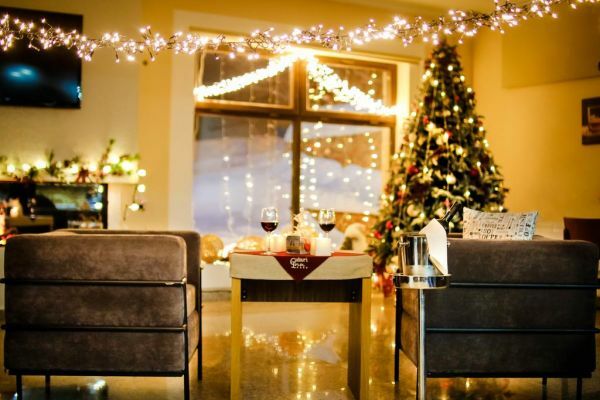 Located in the center of Gudauri in a beautiful place, but away from the noisy road, allowing guests to enjoy a real mountain vacation in a peace and quiet overlooking majestic mountains. 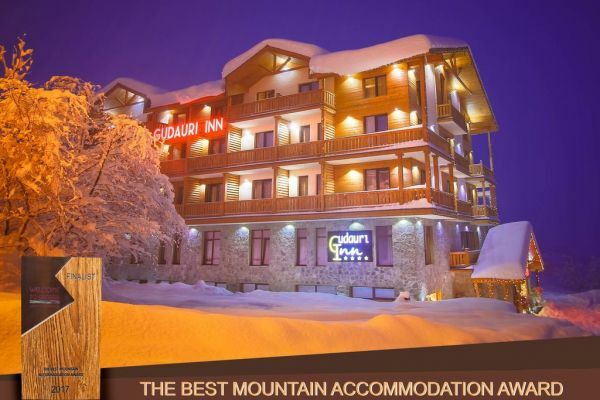 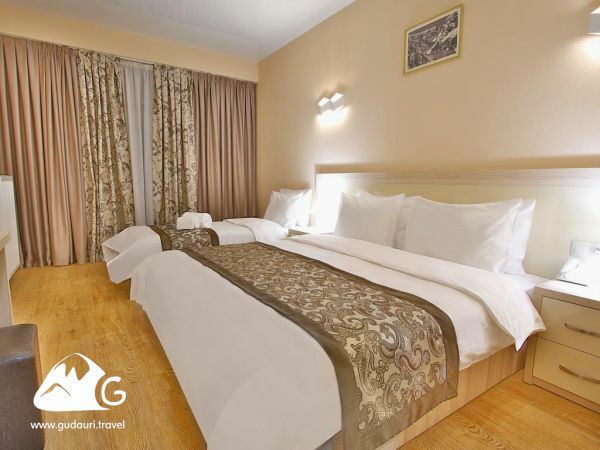 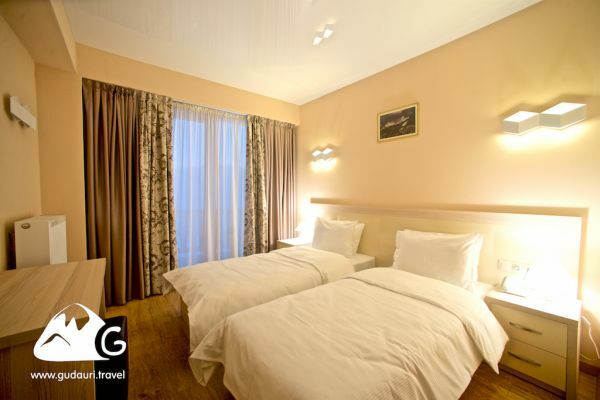 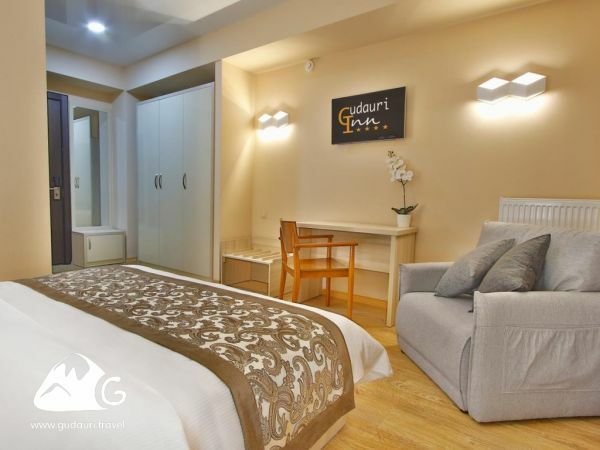 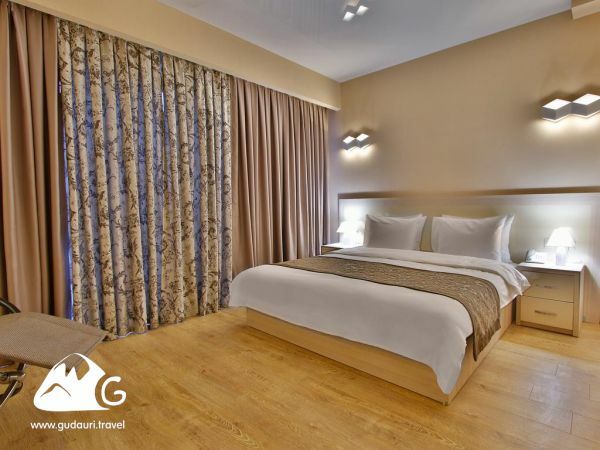 Gudauri Inn - the first choice of discerning riders who value comfort and quality. 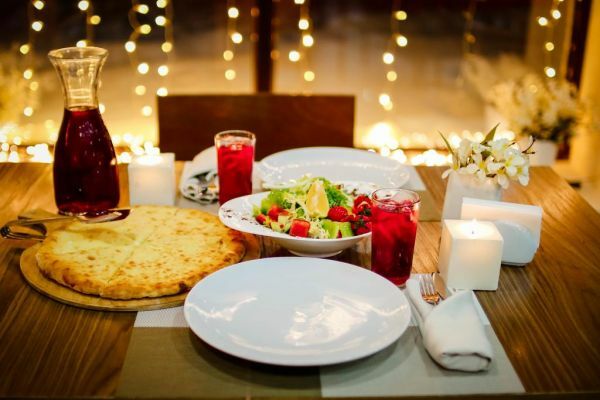 Meals: The price includes breakfast and dinner. 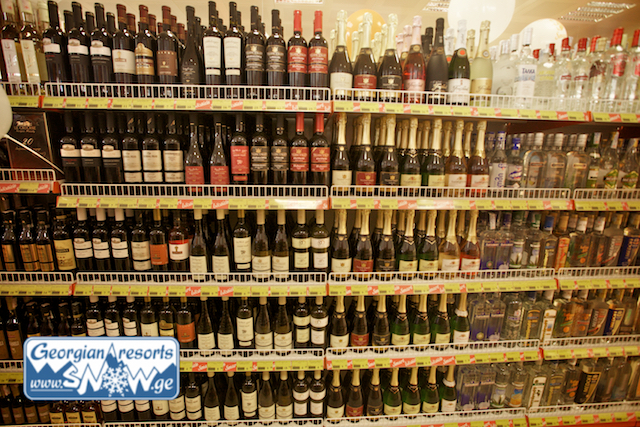 Buffet. 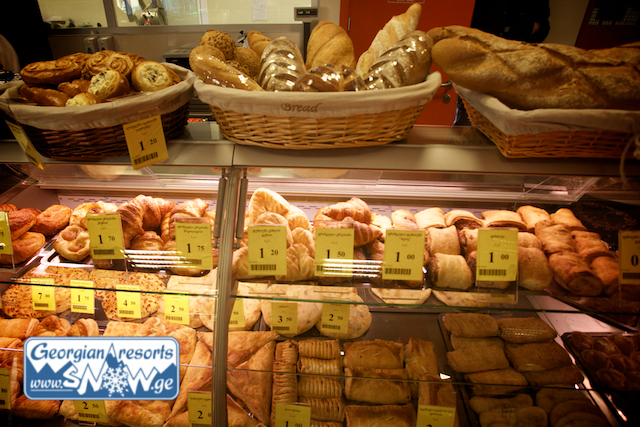 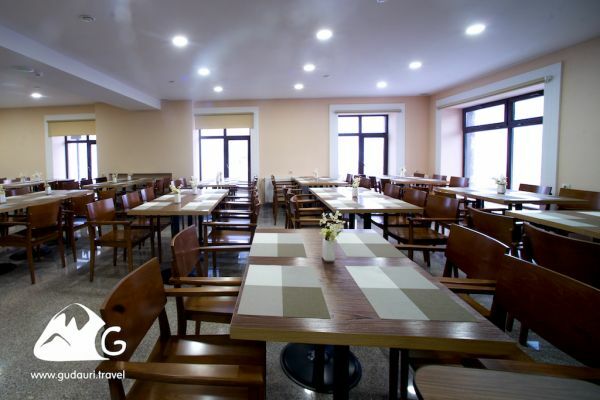 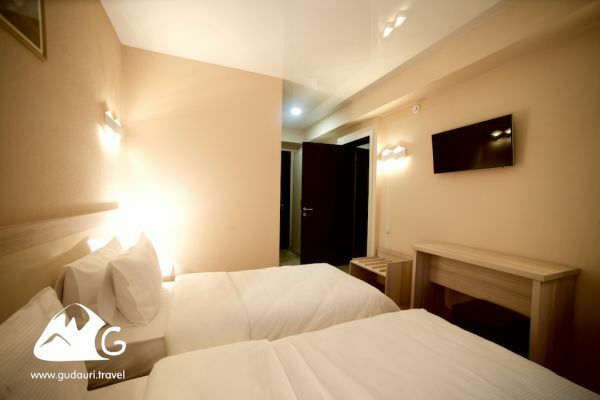 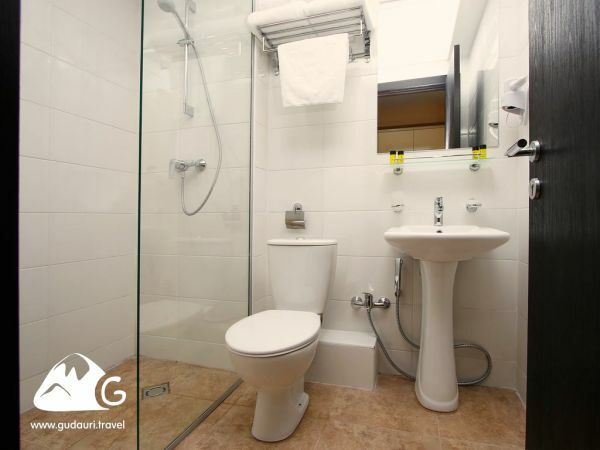 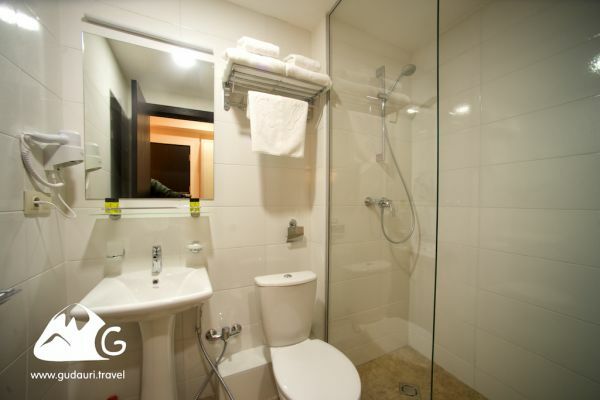 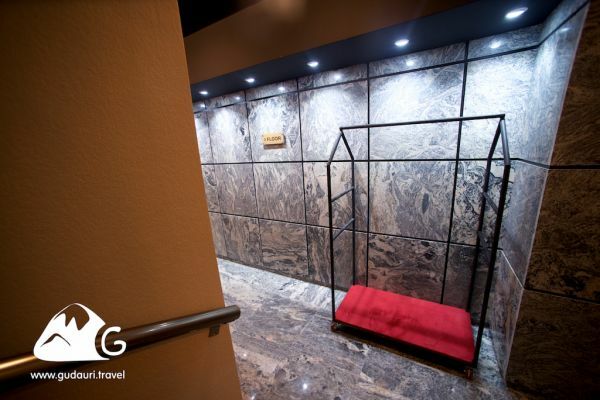 The hotel has restaurant, also nearby many cafes and restaurants and a grocery Smart with fresh pastries. 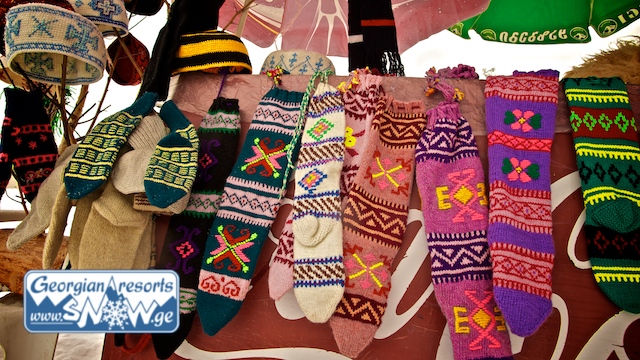 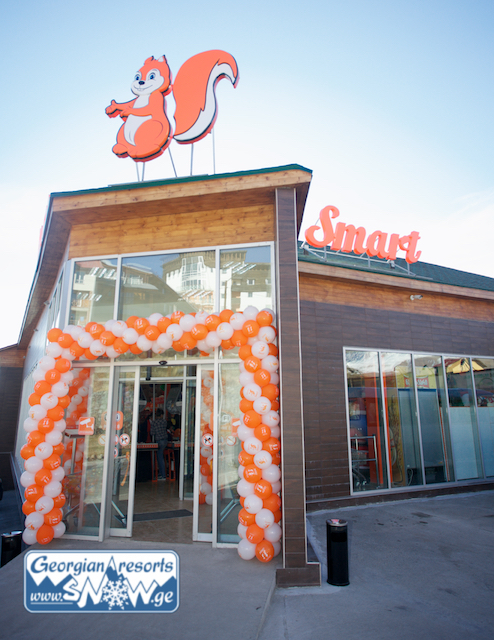 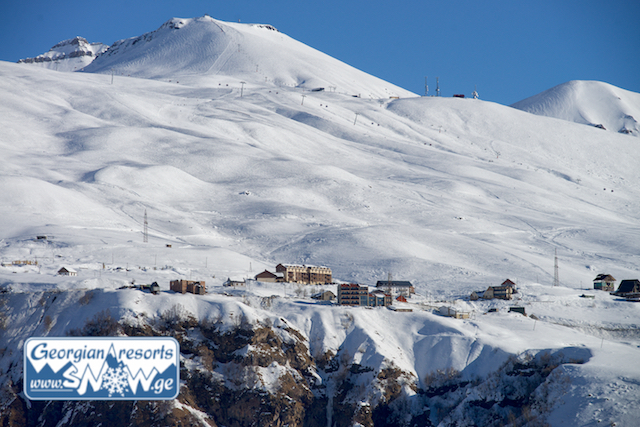 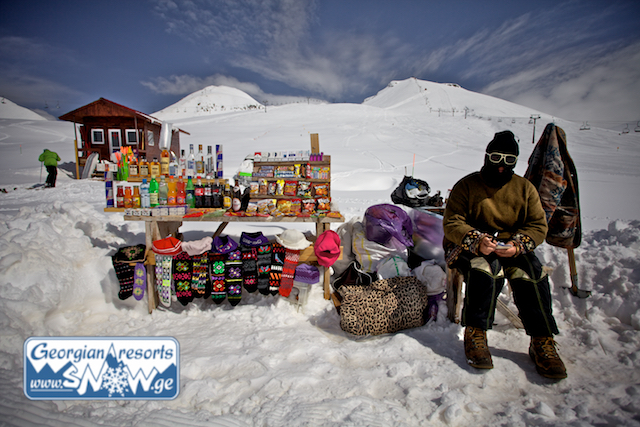 Location: Located in the center of the Gudauri resort, not far from the main resort infrastructure. 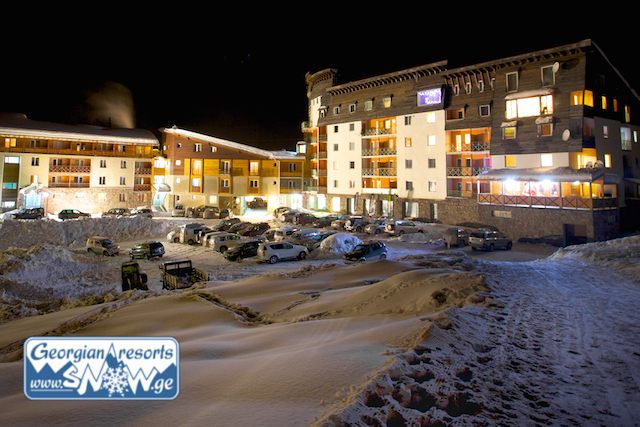 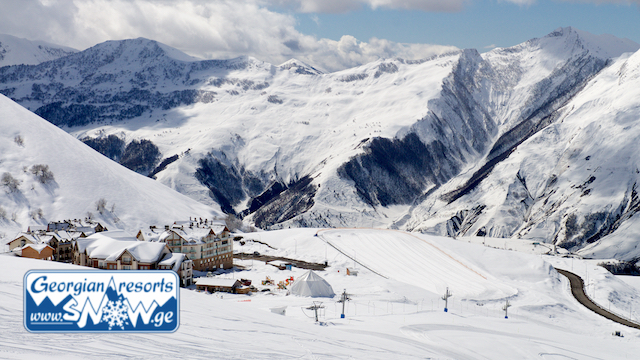 There is a free shuttle service to ski lifts at any time on request of the hotel guests (3 minutes by car). 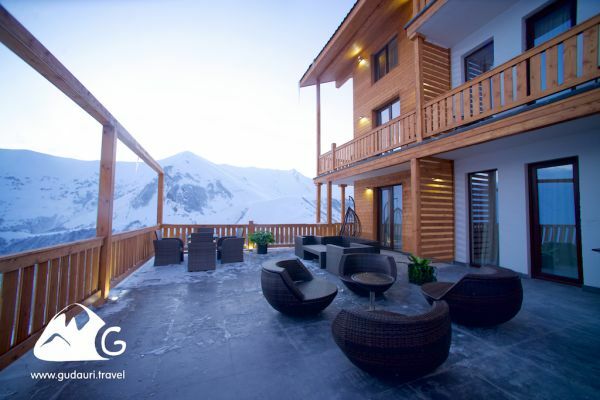 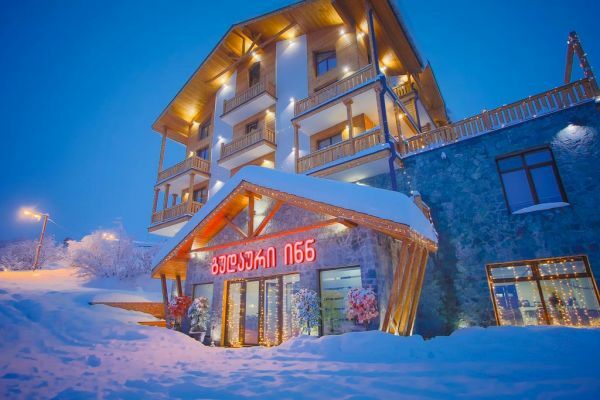 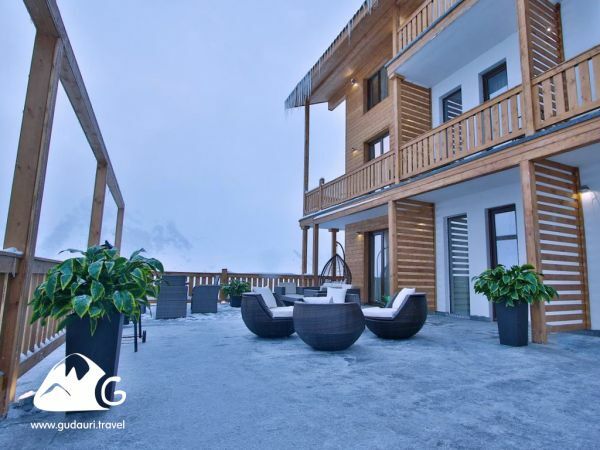 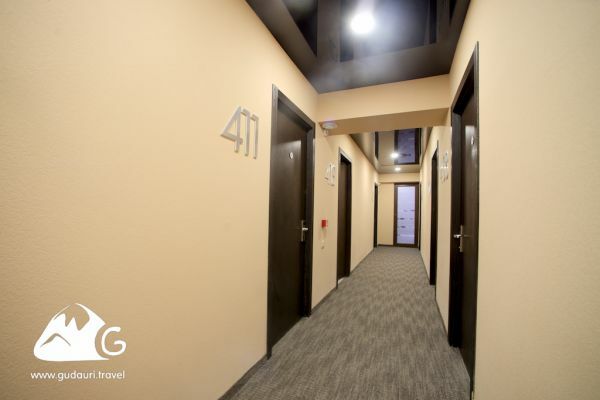 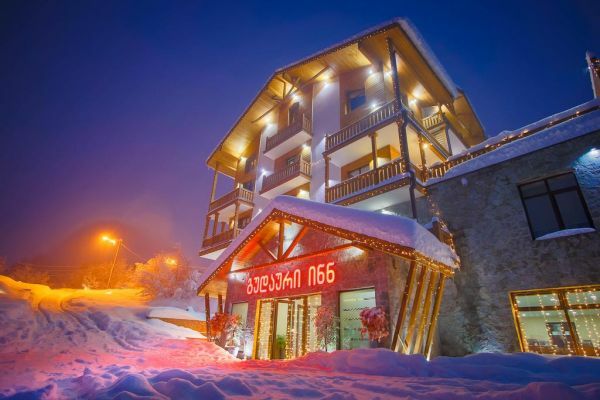 The price includes: breakfast and dinner, shuttle to ski lifts, Internet. 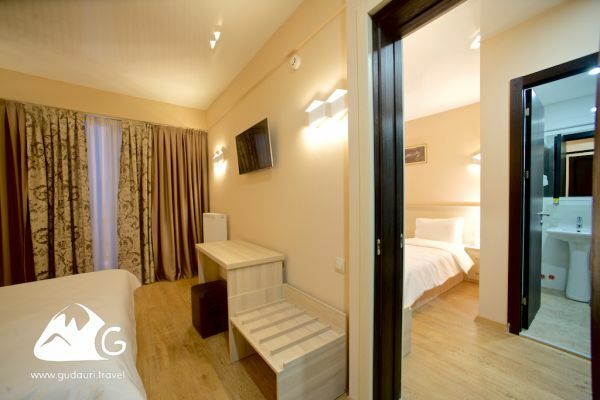 Free accommodation for a children up to 5 years. 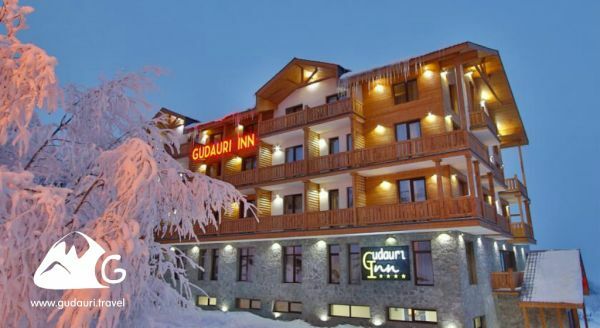 Wann möchten Sie im Gudauri Inn übernachten? 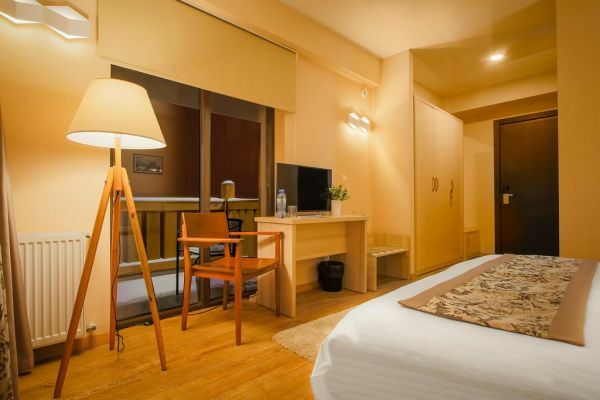 Das Hotel hat 5 verschiedene Zimmertypen und insgesamt 84 Zimmer. 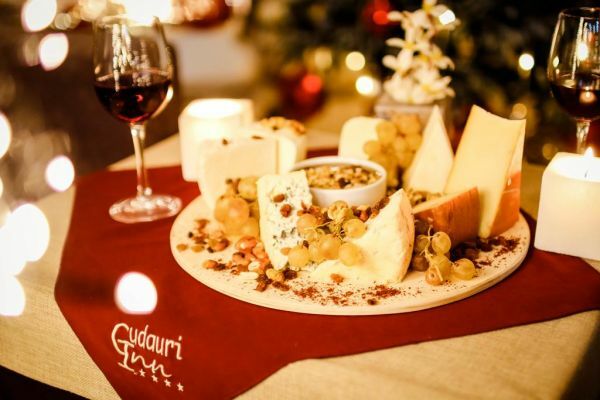 Die letzte Buchung für Gudauri Inn war am Mar 09, 2019 14:12 aus Ukraine.